Andrew and Sue Cogswell met while both working at the Edison First Aid and Rescue Squad #1 in Edison, NJ. The two wed in 1997 just before Andrew served a tour in the Army. When he returned, they began building their life together. Andrew got a job as an EMT and Sue worked as an RN. They bought a house in Beachwood, NJ where they planed to start their family. Eventually, they welcomed a son. Later, Sue got pregnant with Kelly. 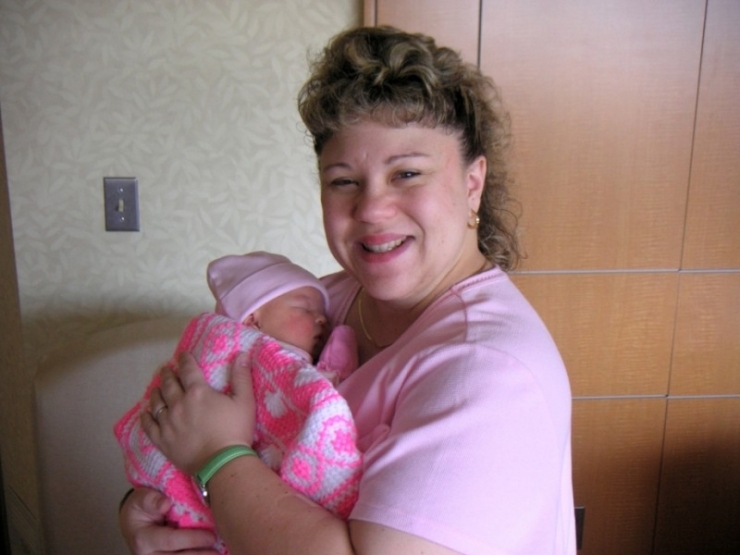 There were no complications during Sue's pregnancy and delivery. Kelly was born on November 3, 2005. After the Cogswells took their baby girl home, they started to notice she was a little slow to her milestones. Shortly after her first birthday, the Cogswells noticed that Kelly's eyes didn't move together. "Her left eye would look at you and her other eye would be looking off to the side," Sue remembers. A pediatric ophthalmologist suspected it was a neurological issue and recommended an MRI. The MRI revealed serious brain damage. 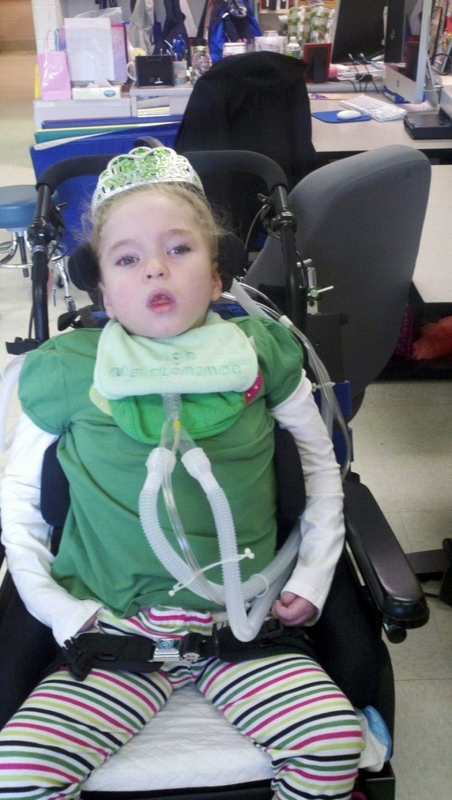 A neurologist determined that Kelly has a mitochondrial disease called Leigh Syndrome. The prognosis was grim: doctors broke Sue's heart when they told her they didn't expect Kelly to live past more than a few months. Leigh Syndrome is a rare genetic neurometabolic disorder affecting just 1 out of every 40,000 newborns. It is characterized by the degeneration of the central nervous system. The symptoms of Leigh Syndrome usually begin between the ages of 3 months and 2 years. Symptoms are associated with progressive neurological deterioration and may include loss of previously acquired motor skills, loss of appetite, vomiting, irritability, and/or seizure activity. Kelly continued to have problems feeding. Doctors wanted to give her a gastrointestinal tube, but were pessimistic. "There is a good chance she won't survive the surgery," they warned. The Cogswells were out of options. Reluctantly, they agreed to the surgery. Doctors were pleasantly shocked when Kelly pulled through with flying colors. "She became a very different child after that," Andrew recalls. "She was calm and seemed more comfortable." However, the regression of Kelly's syndrome continued to take its toll. She lost her ability to sit, roll over, and could no longer hold her head up. She began having a lot of seizures. "It was quite a long time before we could get the right medications figured out to help control her seizures," Andrew explains. After an episode where she had trouble breathing, Kelly underwent another surgery to receive a tracheotomy. Doctors were again amazed that Kelly pulled through. Kelly is 8 years old now. 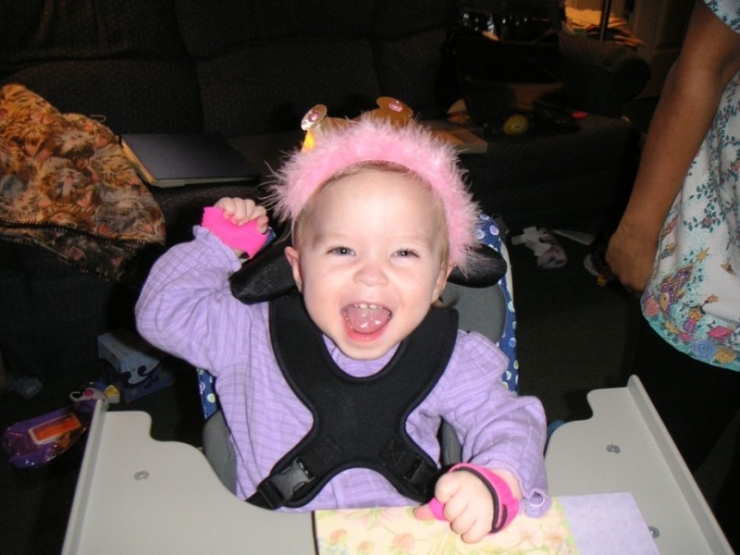 She has come a long way since doctors thought she wouldn't live past her first birthday. She communicates with a "Yes or No Switch" and an eye gaze computer when at school. "Cognitively, she is high up there. In my opinion, she understands everything going on," Sue explains. Kelly loves to go for walks when the sun is shining. She's very outgoing and social. She likes to be involved in all the conversations going on around her. The only person she looks up to more than Disney princesses is her big brother, AJ. The bond between them is where Kelly gets her strength. In 2008, as Kelly's medical costs continued to rise, the Cogswells had to sell their house. They moved into a house owned by Sue's parents. For a while, Sue was unable to work due to taking care of Kelly. She presently is only able to work part time. 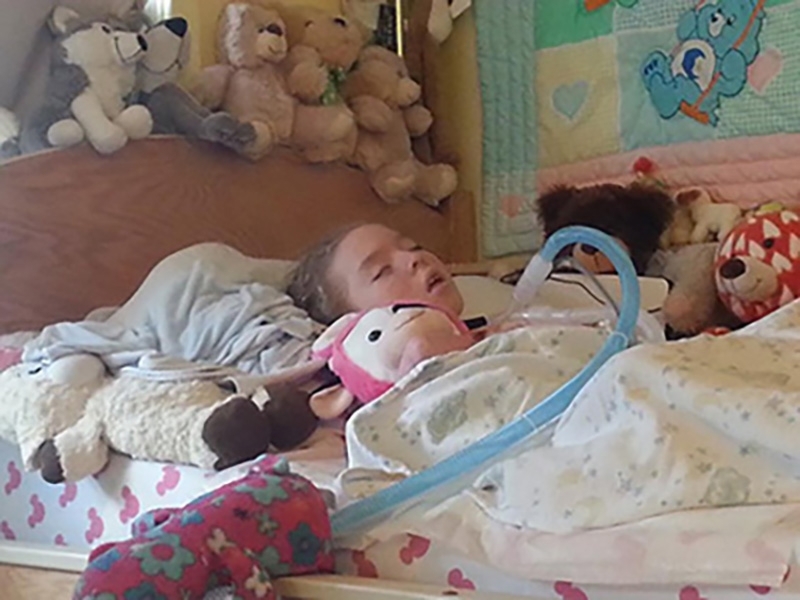 Kelly now has 24-hour nursing care, which has made a noticeable improvement in her health. But the cost of her medications continue to rise. The Cogswells are struggling to keep up. Andrew and Sue have given a lot back to their community. There's no telling how many people they've helped and the lives they've saved during their careers in the medical field. They are two of the most selfless and giving people you'll ever meet. Now it's time for them to be on the receiving end of help. Chive Charities is proud to announce that we are giving the Cogswells a $61,000 grant from the Chive Fund! The grant is going towards one year of prescription medications and a brand new ADA van with a wheelchair ramp! Kelly looks up to her big brother, AJ. She lights up whenever he comes home. Sue tells us, "Kelly never talked much… But one thing she always said very clearly was 'AJ.' She called for him all the time. She loves her big brother." 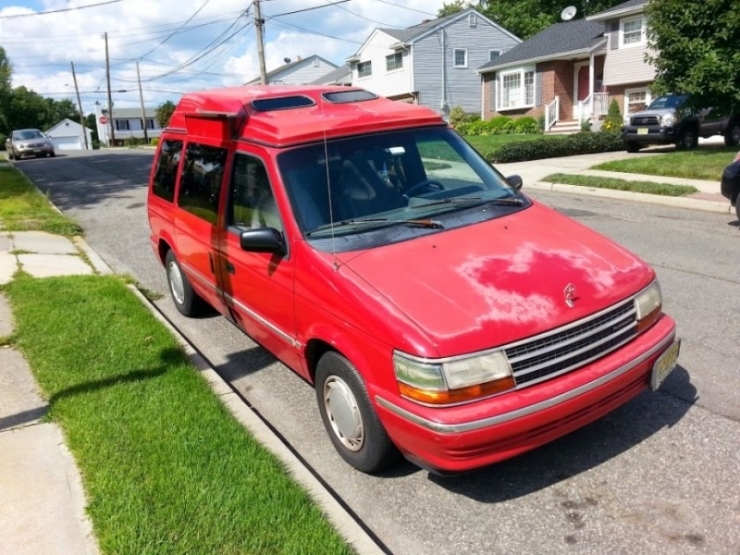 This is the van the Cogswells had been using to transport Kelly. The day we called the Cogswells to tell them we would be receiving a grant from Chive Charities, the van finally died. It broke down indefinitely. 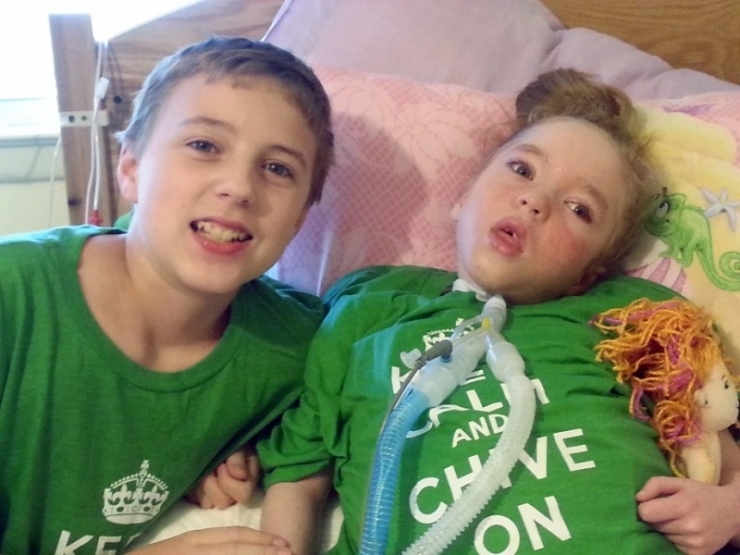 Your continued donations to the Chive Fund have allowed us give the Cogswells a $61,000 grant. 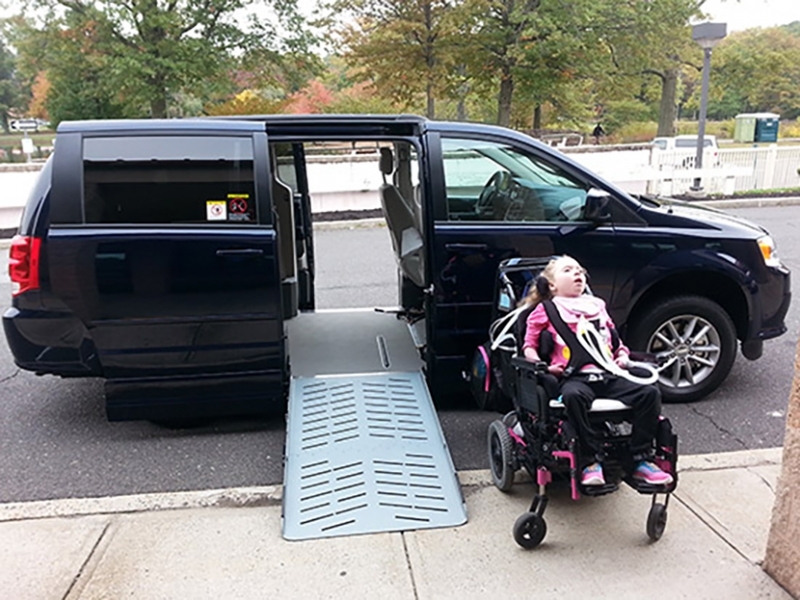 The Cogswells have a brand new, ADA van with a ramp! They will be able to safely transport Kelly without fear of their new van breaking down! When the Cogswells reached out to us, they weren't just seeking help. Their mission was to spread awareness about mitochondrial disease. Sue even spoke about mitochondrial disease last February at a Rare Disease Day conference in Newark. The timing of this story couldn't be more appropriate. September is Mitochondrial Disease Awareness Month. You can learn more about mitochondrial disease RIGHT HERE. Kelly has had numerous surgeries and been hospitalized multiple times due to her medical condition. She still has multiple seizures a day, but they aren't as severe as they used to be. 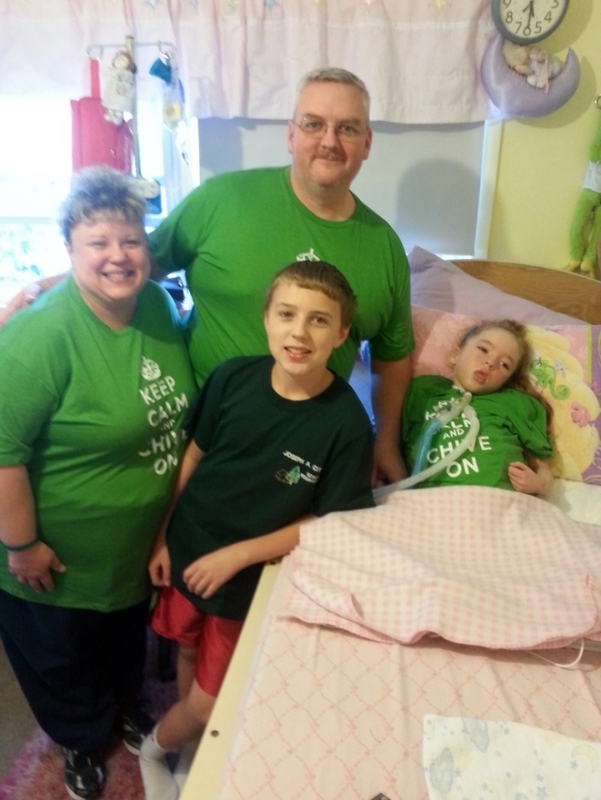 Thanks to your donation to Chive Charities, Kelly will have 1 year of medications to minimize her seizures. With the help of faithful parents and a loving brother to look up to, Kelly will continue to beat the odds. In Gaelic, Kelly means "Brave Warrior." She is indeed a warrior who continues to live up to her name and steadily prove her doctors wrong.